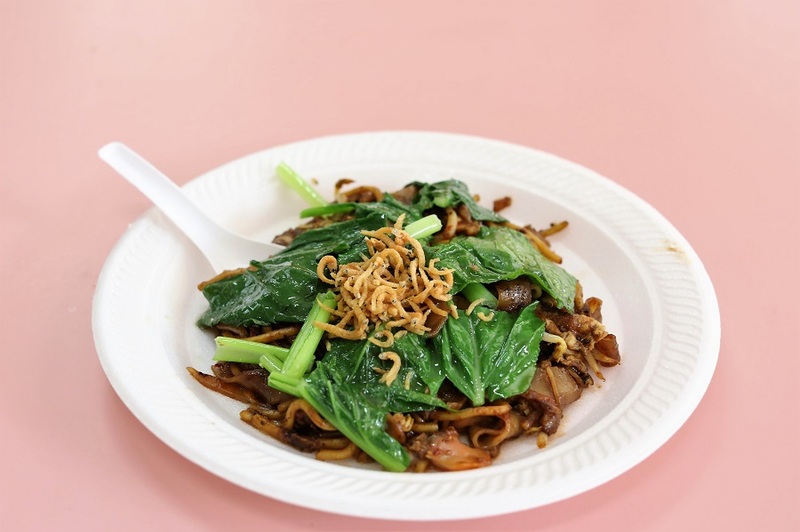 A ‘healthy’ plate of Char Kway Teow? Why not? 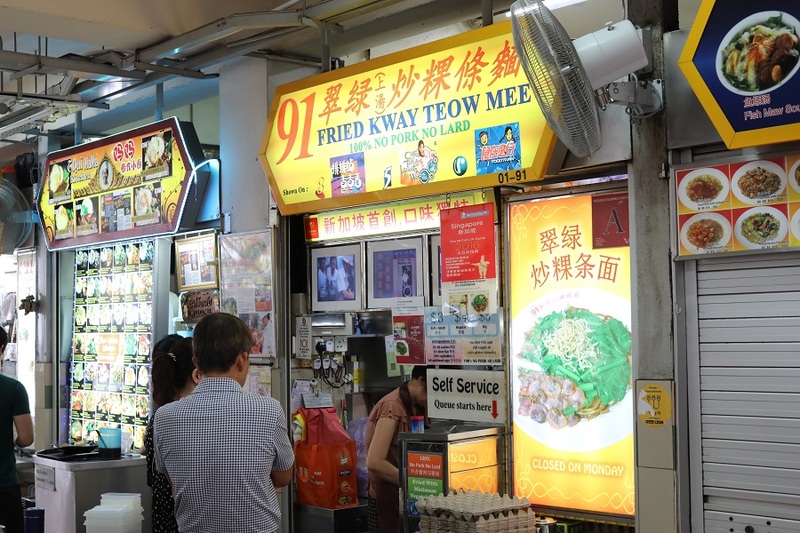 The stall is easily spotted as it is located near the entrance of the “Beach Road Army Market” food centre. 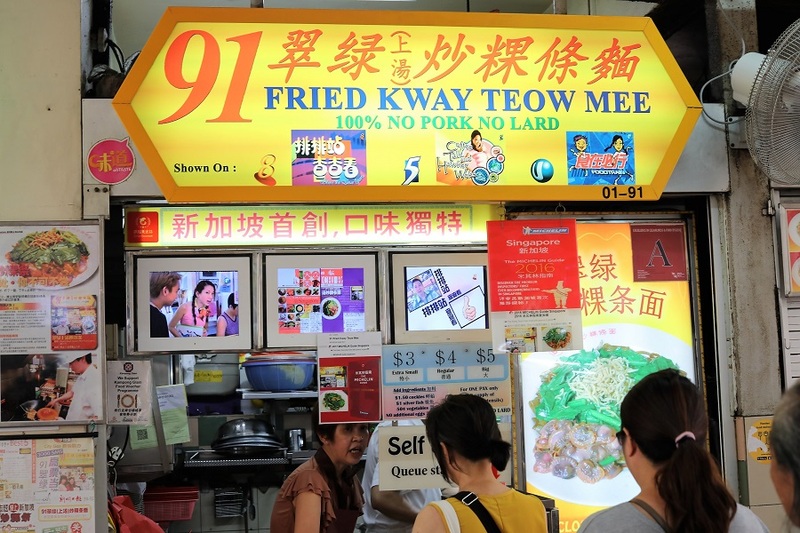 There is a sign that states that the stall is Michelin Recommended – it has a “Michelin Plate”. However, even as its opening hours states till 7pm (8pm on Google), it seems to be always closed. 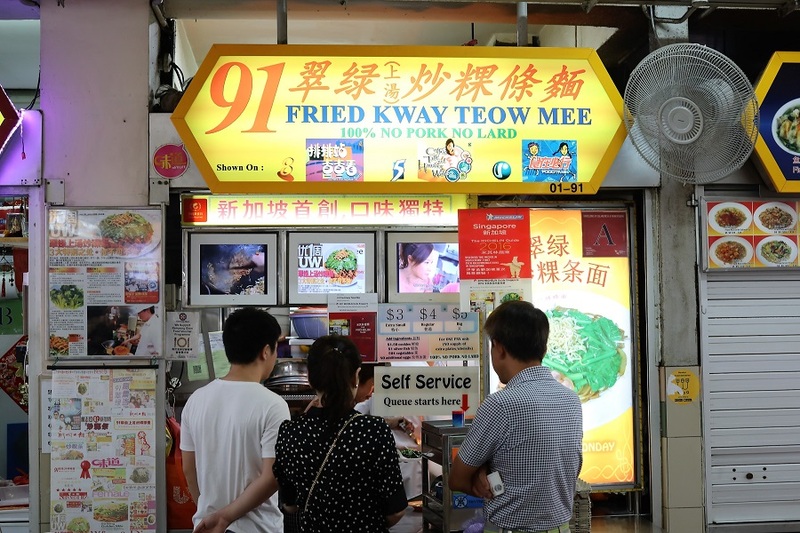 Mr Tan, the stall owner, fries his kway teow mee with a special broth that takes about 10 hours to prepare and uses vegetable oil. 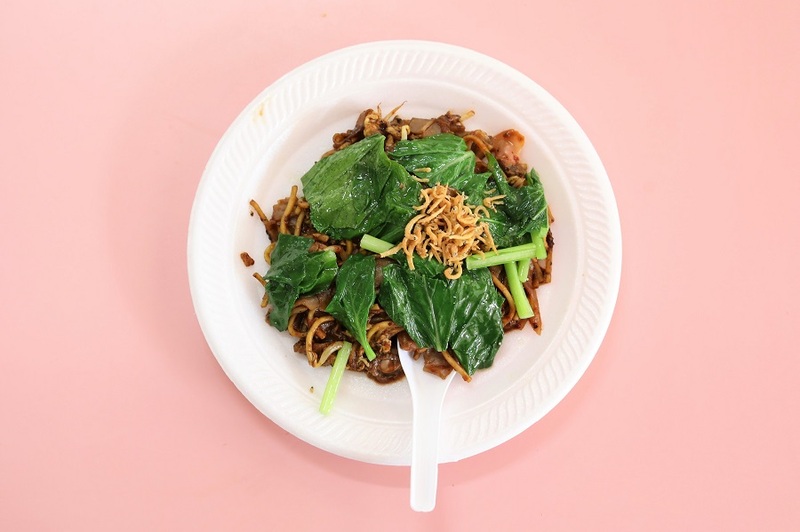 You also know you’re in for a healthier version of Char Kway Teow when you see it topped with so much green leafy vegetables. 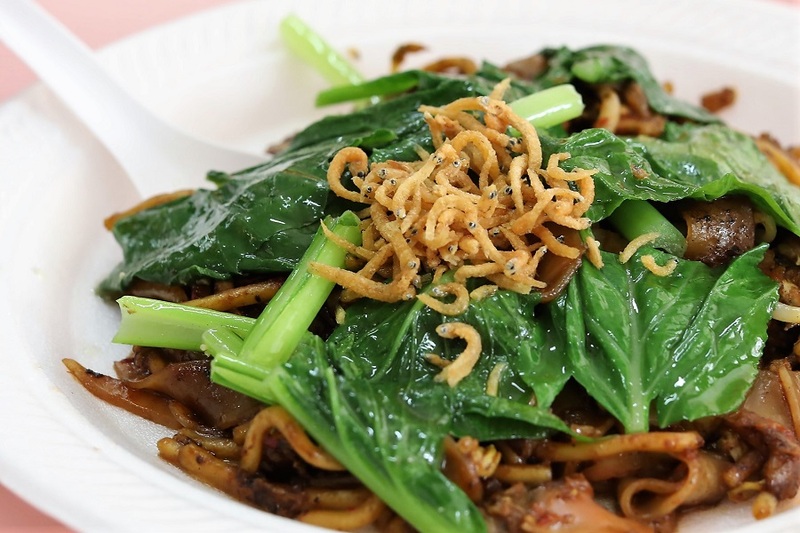 The chye sim are not oily as they are not stir-fried, blanched and topped only before serving. 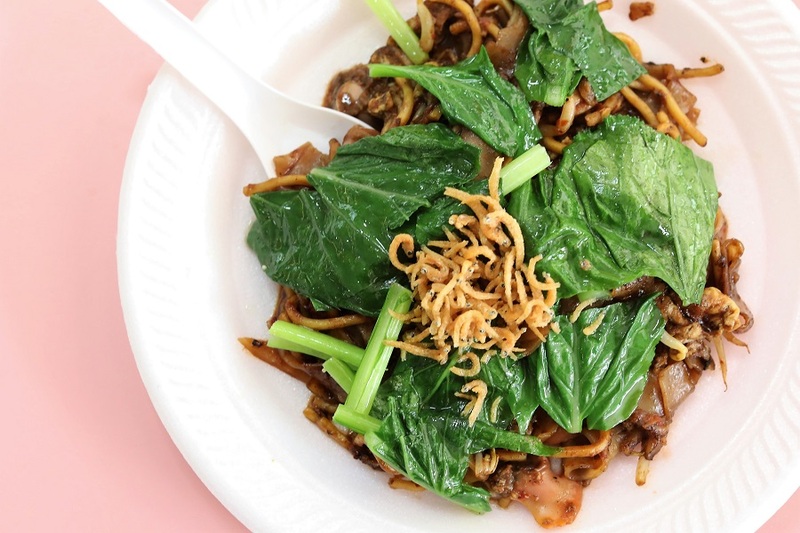 Aside from the absence of pork lard, this kway teow also doesn’t have lup cheong (Chinese sausage). 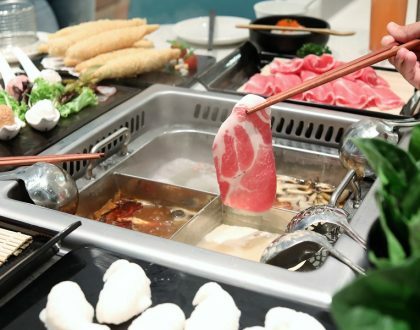 The see-hum (blood cockles) are thoroughly cooked. Bland when eaten alone, it is best to request for some chilli upon ordering. To add a nice, crunchy texture, they sprinkle some fried whitebait on the top. 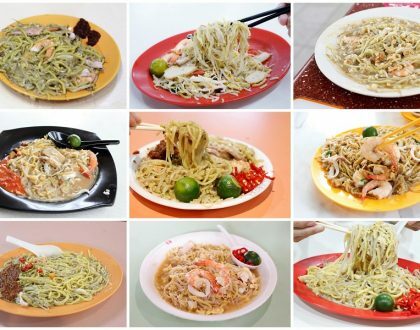 Mix them up with the kway teow before eating. 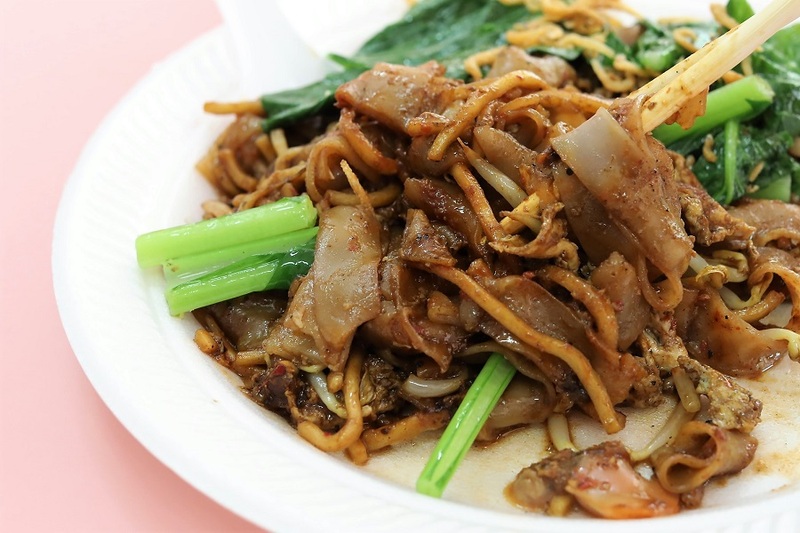 Overall, the Char Kway Teow is the dry-type with no excess sauce nor oil at the bottom of your plate. 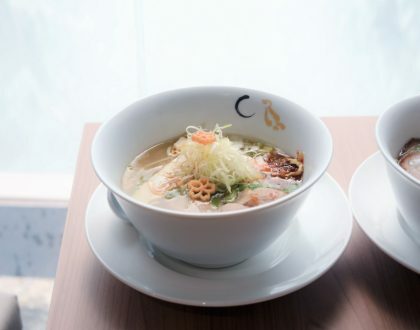 Flavours are still balanced, despite the non-traditional omission of certain ingredients. However, I think some Char Kway Teow lovers may frown upon this version as it just lacked that dark soy sauce flavour, greasiness and aroma. In case you wonder about the wok hei, it is not that strong but it is there.